The East Clinton High School softball team, from left to right, front row, Lydia Kessler, Josie Runk, Alexia Rolfe, Brianna Rider, Taylor Boeckmann, Alycia Barker; back row, Savannah Pritchard, Haven Bosier, Rhylee Luttrell, Kiera Brightman, Kaitlyn Talbott, MacKenzie Campbell, Kate Durbin, Jericka Boggs. Following a district runnerup season in 2018, East Clinton softball has high hopes for the 2019 softball season. “We are playing a very difficult schedule to prepare for tournament,” coach Matthew Zimmerman said. With just four returning starters, Zimmerman will have to hope several young players step up as East Clinton looks to repeat is 14-9 mark. That’s not easy with so much inexperience. Among the biggest shoes to fill will be Sierra Christian (11 wins, 1.10 earned run average), Marah Dunn (114 innings as catcher), Makayla Smith (.525 batting average) and Kayla Hall (0 errors in the field). Zimmerman is assisted by Jeanne Brightman, Bob Hazelbaker and Trevor Dunn, along with junior varsity coaches Nakkea Mulkey and Kelly Durham. Top returning players are Taylor Boeckmann (Youngstown State signee), Mackenzie Campbell, Kate Durbin and Miranda Beener. Boeckmann hit .528 last season while earning All-Ohio honorable mention. The top newcomers are freshmen Kiera Brightman, Lydia Kessler and Alycia Barker. 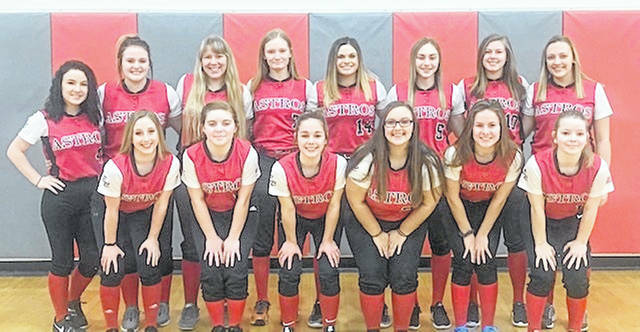 https://www.wnewsj.com/wp-content/uploads/sites/22/2019/03/web1_SFT_ecteam.jpgThe East Clinton High School softball team, from left to right, front row, Lydia Kessler, Josie Runk, Alexia Rolfe, Brianna Rider, Taylor Boeckmann, Alycia Barker; back row, Savannah Pritchard, Haven Bosier, Rhylee Luttrell, Kiera Brightman, Kaitlyn Talbott, MacKenzie Campbell, Kate Durbin, Jericka Boggs.